Alright, enough of the insanity. 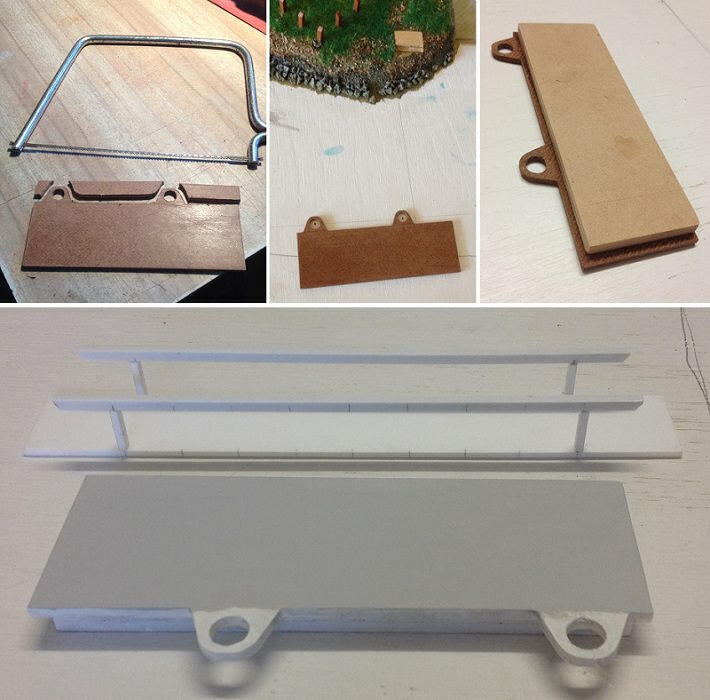 Used Masonite and MDF board to make the wharf, and used the plastic medium to build the gangway to the floating wharf. Glad that you are feeling better now. I was getting withdraw symptoms for not seeing you ingenuity at work. 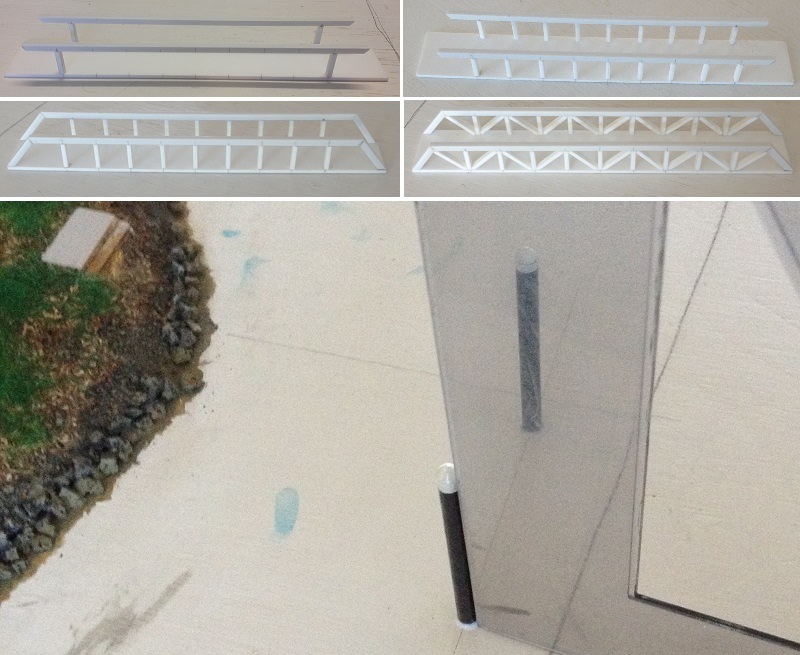 Brilliant mate work and idea on Muz's floating pantoon! Welcome back, I was starting to wonder just where you got off to. 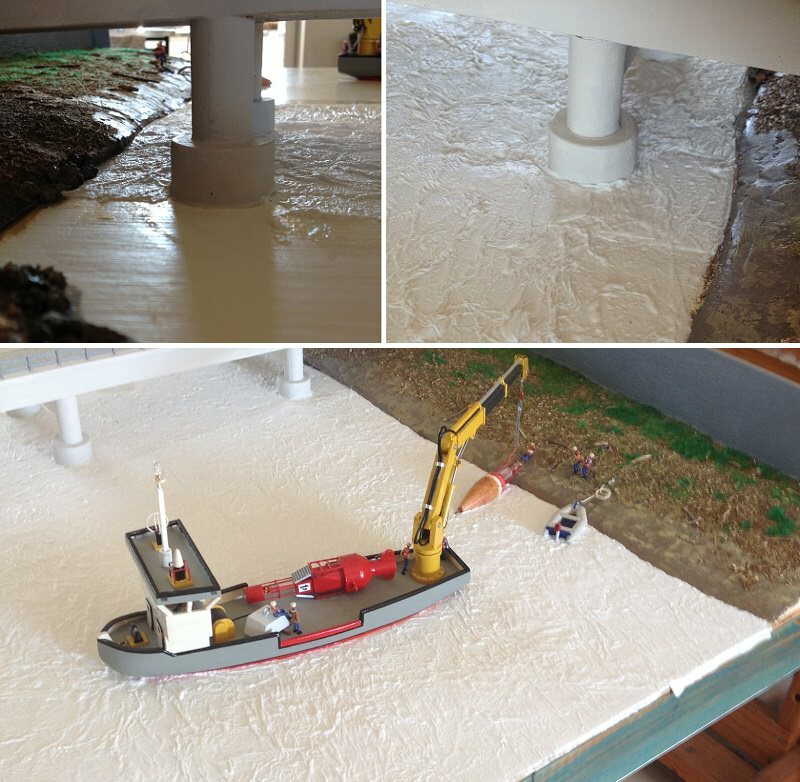 Your solution to your floating wharf sure does look good and very realistic at that, ENJOY. @Canoe21. Have been getting regular attacks of low grade fever (some sort of organ infection). Seems to have stopped. My vehicle (body) is heading towards the junkyard. I am very sorry to hear that you are having all sorts of very strange problems. I would suggest that you seek out the help of a medical doctor who will surely find a solution to your problems. I do hope that you will not put this off as your shipmates need you back working in your Old Ship Yard, ENJOY. Thanks @Canoe21. I have been to doctor. On anti-biotic medication. That is very good news, give it a few days and surely you will be bouncing back to your old self, ENJOY. You will be in good company if you go there mate because I'll be there first. Take it easy and hope the Doctor's can help you. Well, I am not going to race you. Besides, God may have other plans. Just when you think it's time to go, you end up being put into service a bit longer. I am feeling okay my friend. The anti-biotics have cleared this infection up. Wishing you a speedy recovery. I look forward to seeing many more posts of your projects. Very happy you are doing good. 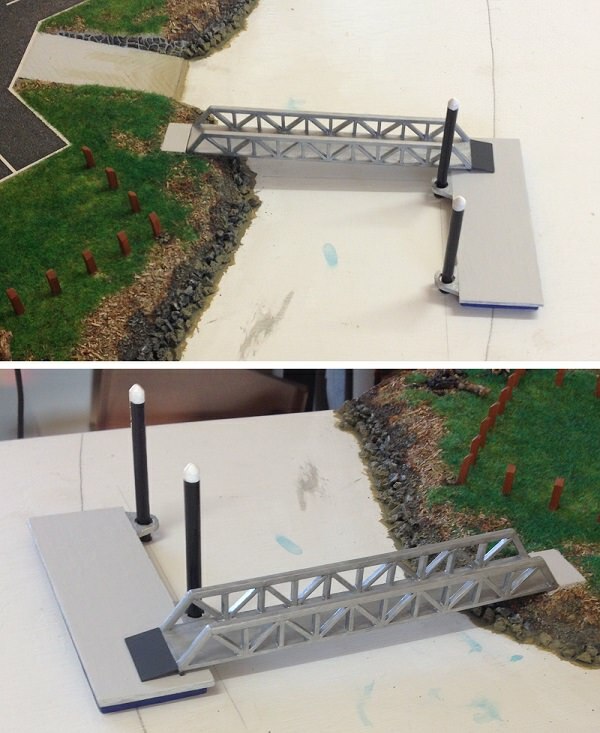 Greg, if you have more diorama ideas just keep them coming. Thank you @Peglegreg , @zoly99sask , @Uwek , @Pathfinder65 , @Shuttlebuggy and @Canoe21 (hope I did not leave anybody out) for your loving support and well wishes. I am back! Have started working on the river surface with the paper mache. So far, completed 1/5 of the surface. Man, there is a lot of water to be done. I can see it's going to take a several days. At first I thought it won't take too long. Then I discovered, after the first day of drying, that much of the surface shrunk flat to the table, as if I had not applied any mache at all. Had to redo most of yesterdays effort. Now I am applying a lot more paper tisues as I go along. So far I have done the water under the bridge and far left corner. That's a tremendous task ahead of you. I hope there's enough 'dunny' paper at ballina for you, so you complete the job. Hi Greg. Yeah, I bought Coles out. I am very pleased that you have recovered from your illness and that you are again working again in your Old Ship Yard, great job as always, ENJOY.